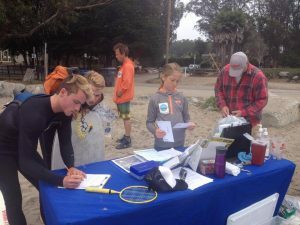 Annual Coastal Cleanup Day is the world’s largest volunteer effort for the ocean. Join us Saturday, September 17th from 9am -12pm (site TBD). Every year, hundreds of thousands of volunteers remove millions of pounds of trash from beaches across the globe. Surfrider is stoked to host a sight and partner with Save Our Shores who responsible for leading over 80 beach, river, and inland cleanup sites—stretching 85 miles of coastline from Waddell Creek Beach in Northern Santa Cruz County to Los Padres National Forest in Southern Monterey County. The success of our local cleanups are determined by you! The more hands we have helping, the more pollution we can prevent from entering our beautiful ocean and endangering marine wildlife. Last year, our community of 3,220 volunteers managed to remove 8.2 tons of pollution from beaches, rivers, and inland cleanup sites. That’s equivalent to 26 adult male sea lions!